The April 13 poker night fundraiser is a benefit supporting Sam Barlow High School in its effort to purchase a pole vault pit for its track and field venue. If you like to play Texas Hold'em poker, and if you like using your money to support local kids, then we have an event for you that accomplishes both. Biscuits Cafe in Gresham is hosting a poker night fundraiser on Saturday, April 13, to help purchase a pole vault pit for Sam Barlow High School's track and field athletes. Each participant pays a $40 buy-in, which includes a beverage, raffle ticket and chip stack. Buy-ins will be available at the door. Each player will have the option of up to two rebuys in the first hour post knock out, and one add on. For tickets in advance, call Todd Wright at 503-969-4468. First prize is $250, second is $125 and third is $75. Sponsors include Pacific Coat Painting, Schmizza Public House and Biscuits Cafe. Biscuits is located at 1905 N.E. Division St., Gresham. Doors open at 5:30 p.m. Participants must be 21 years and over. 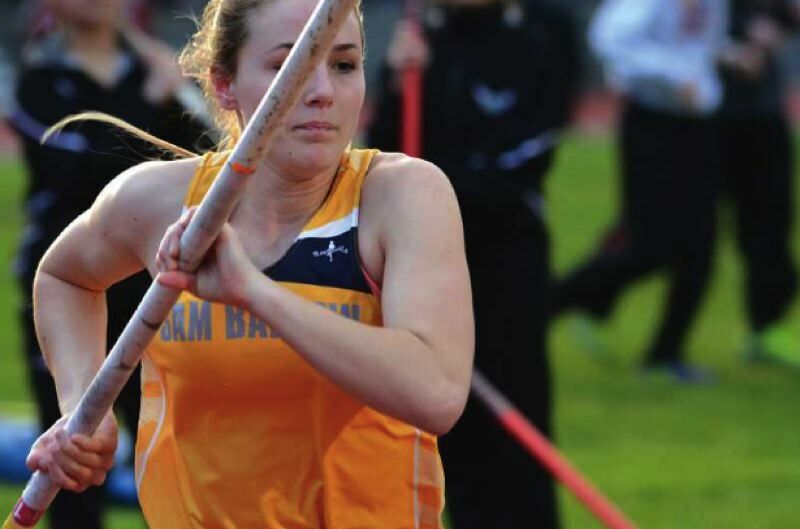 EDITOR'S NOTE: The Outlook published a story ('Fundraiser to benefit Barlow High track team') on March 5 detailing the need for the pole vault pit and the fundraising effort that will likely take two years to complete.